Nine years before the Senate campaign that made him one of the most influential and compelling voices in American politics, Barack Obama published this lyrical, unsentimental, and powerfully affecting memoir, which became a number one New York Times bestseller when it was reissued in 2004. 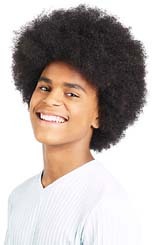 Dreams from My Father - A Story of Race and Inheritance tells the story of Barack's struggle to understand the forces that shaped him as the son of a black African father and white American mother—a struggle that takes him from the American heartland to the ancestral home of his great-aunt in the tiny African village of Alego. Barack opens his story in New York, where he hears that his father—a figure he knows more as a myth than as a man—has died in a car accident. The news triggers a chain of memories as Barack retraces his family’s unusual history: the migration of his mother’s family from small-town Kansas to the Hawaiian islands; the love that develops between his mother and a promising young Kenyan student, a love nurtured by youthful innocence and the integrationist spirit of the early sixties; his father’s departure from Hawaii when Barack was two, as the realities of race and power reassert themselves; and Barack’s own awakening to the fears and doubts that exist not just between the larger black and white worlds but within himself. Barack’s journey comes full circle in Kenya, where he finally meets the African side of his family and confronts the bitter truth of his father’s life. Travelling through a country racked by brutal poverty and tribal conflict, but whose people are sustained by a spirit of endurance and hope, Barack discovers that he is inescapably bound to brothers and sisters living an ocean away—and that by embracing their common struggles he can finally reconcile his divided inheritance. 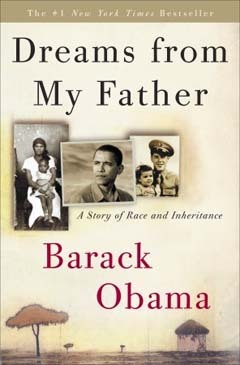 Dreams Of My Father by Barack Obama is available to buy now.